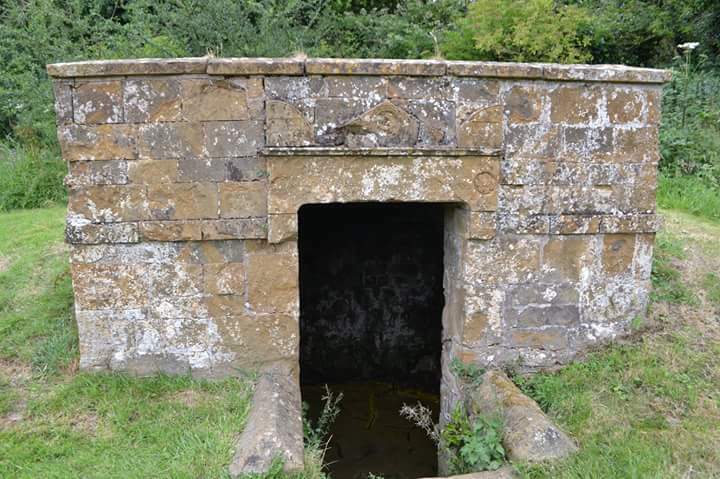 Back in March I detailed a little known holy well in a county little known for its holy wells, Speen’s Lady Well, a delightful stone built well repaired for coronation of Edward VII back in 1903. 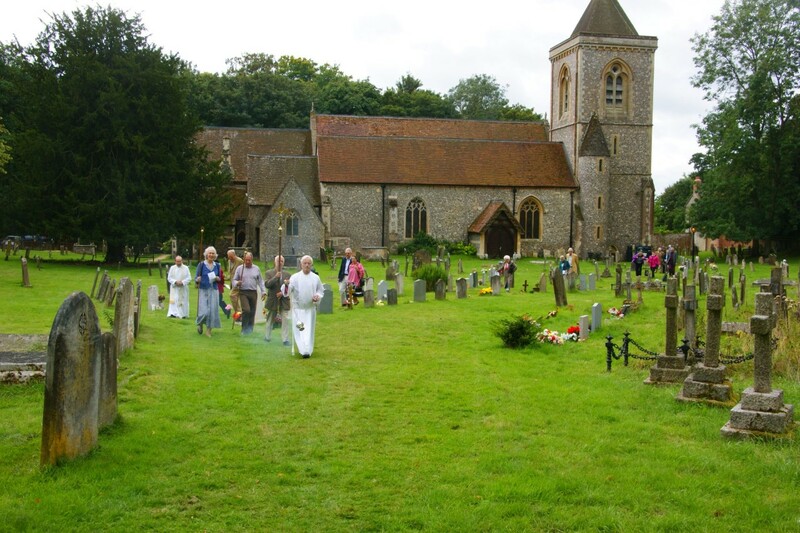 Since then I have been fortunate enough to find out more information via Church Warden Mrs Jane Burrell, and obtained some photos about the annual service which is enacted there each here. I thought I would record here the full details of the ceremony for historical reasons. Every year the service is done near or at the church’s Patronal Festival, this being the 15th August, which is the Assumption of the Virgin Mary. I have been informed that the Lady Well has been blessed annually for decades but how many no one readily appears to know when the custom was founded. As the well itself was refurbished in 1902 to commemorate the coronation of Edward VII, it would be nice to think the celebration dates from then. “ INTRODUCTION In the name of the Father, and of the Son, and of the Holy Spirit. All Amen Our help is in the name of the Lord, All Who has made heaven and earth. The Lord be with you. All And also with you. PSALM 65 1 Praise is due to you, O God, in Zion: to you that answer prayer shall vows be paid. To you shall all flesh come to confess their sins; when our misdeeds prevail against us, you will purge them away. Happy are they whom you choose, And draw to your courts to dwell there. We shall be satisfied with the blessings of your house, even of your holy temple. With wonders you will answer us in your righteousness, O God of our salvation, O hope of all the ends of the earth and of the farthest seas. In your strength you set fast the mountains and are girded about with might. You still the raging of the seas, the roaring of their waves and the clamour of the peoples. Those who dwell at the ends of the earth tremble at your marvels; the gates of the morning and evening sing your praise. You visit the earth and water it; you make it very plenteous. The river of God is full of water; you prepare grain for your people, for so you provide for the earth. You drench the furrows and smooth out the ridges; you soften the ground with showers and bless its increase. You crown the year with your goodness, and your paths overflow with plenty. May the pastures of the wilderness flow with goodness and the hills be girded with praise. May the meadows be clothed with flocks of sheep and the valleys stand so thick with corn that they shall laugh and sing. “HYMN All creatures of our God and King, Lift up your voice and with us sing: Hallelujah, hallelujah! Thou burning sun with golden beam, Thou silver moon with softer gleam: O praise Him, O praise Him, Hallelujah, hallelujah, hallelujah! Thou rushing wind that art so strong, Ye clouds that sail in heaven along, O praise Him, hallelujah! Thou rising morn, in praise rejoice, Ye lights of heaven, find a voice: O praise Him, O praise Him, Hallelujah, hallelujah, hallelujah! Thou flowing water, pure and clear, Make music for thy Lord to hear, Hallelujah, hallelujah! Thou fire so masterful and bright, That givest man both warmth and light: O praise Him, O praise Him, Hallelujah, hallelujah, hallelujah! 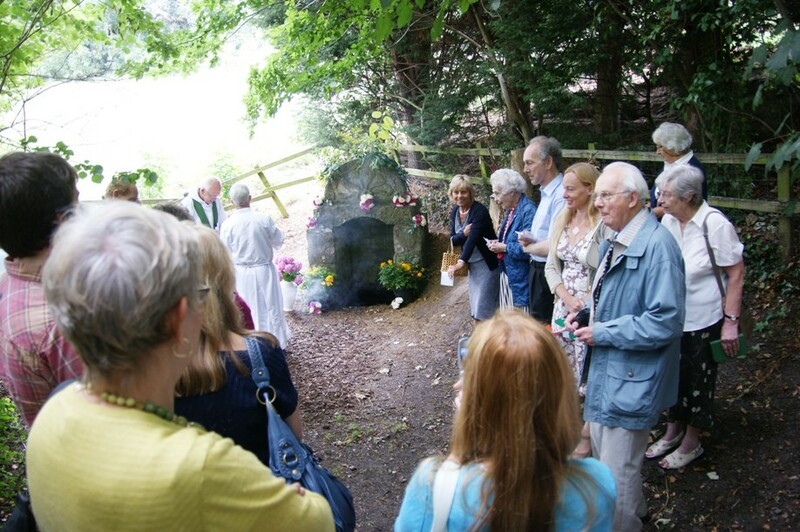 All in all a great evocative holy well and it is great to see that it is still celebrated by its community. Hopefully more details of the custom’s establishment will come forward. And as such it was restored. My visit in July 1991 found it an enchanting place, obviously the scale shocked me at first as I expected it to be bigger based on the sketch in Hope. The tree which had been overshadowing it was gone and that lost some of the atmosphere. 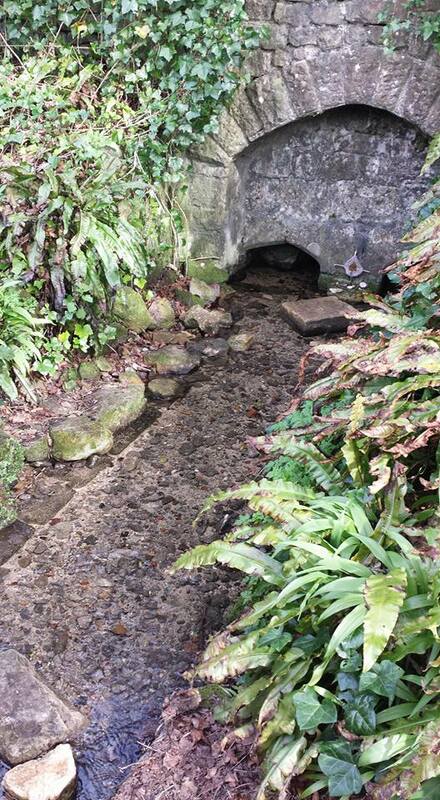 But it still was an enchanting place, especially creeping inside where that old basin remained and there was a feeling of being with the piskies.. Thanks for Carol Ellis for the 2017 photos! 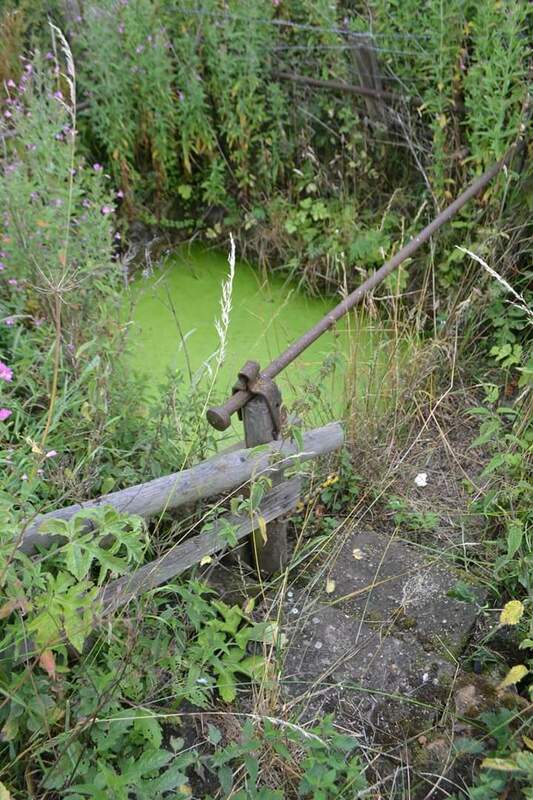 The well depicted in Hope’s (1893) Legendary lore of holy wells, sadly he says nothing about it! 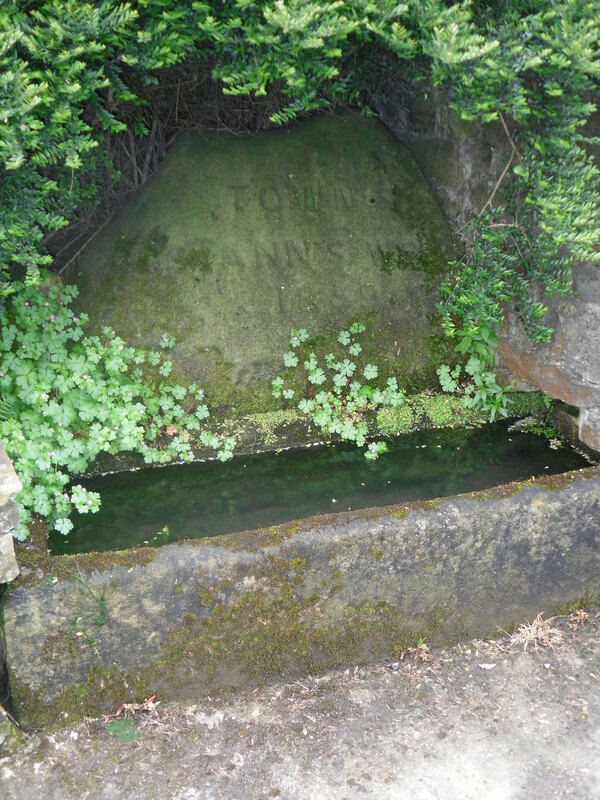 “this Holy well was built by Robert named Hardinge 16xx“. Briggs suggested the date of 1660, which is quite likely, as it coincides with the Restoration of Charles II as the family at the nearby hall. The aforementioned Hardinge, were staunch Royalists, and of course puritans disliked holy wells as many other so called ‘popish’ things. 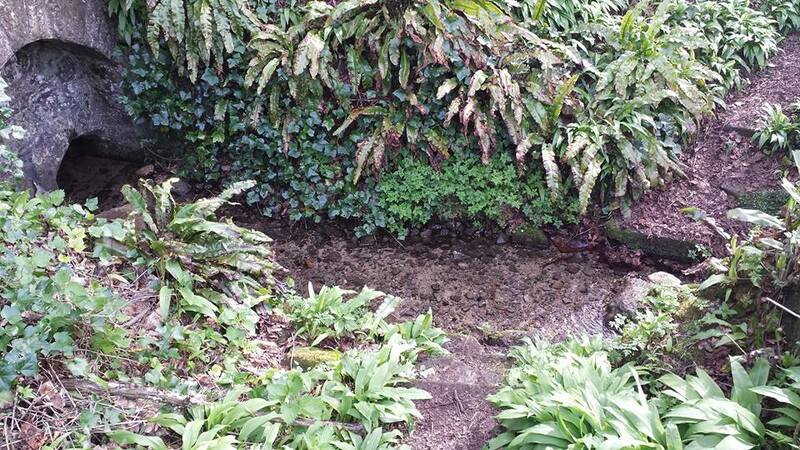 However, its restoration may have been for little more than to maintain a good water supply. Later depictions such as pre-war postcards show the date to be quite clearly 1662. 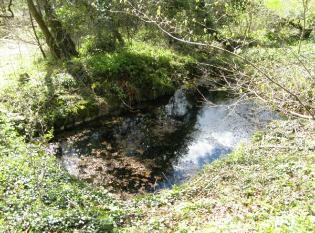 The present condition of the well is tribute to its local community. The arch survived for nearly 300 years but a combination of vandals and the roots of the nearby ash tree caused the arch fall down and it lay in pieces in the 1950s. 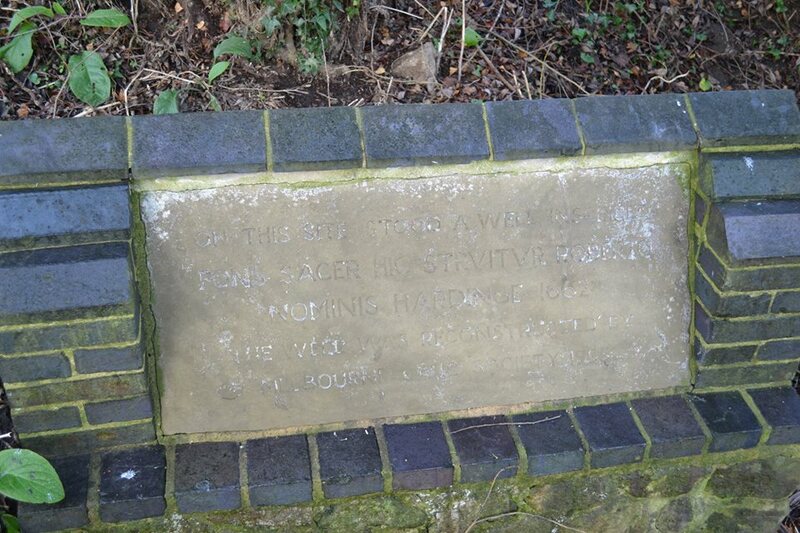 Sadly the original inscription appears to have been stolen or entirely broken to pieces. 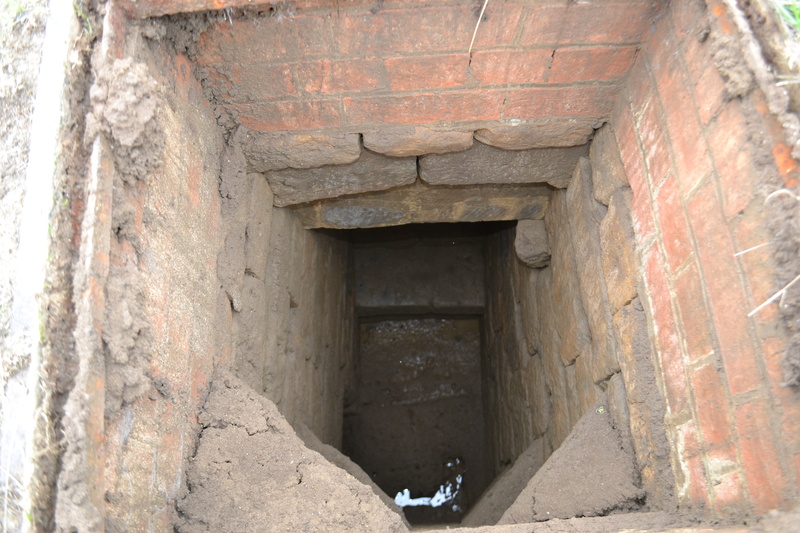 However, unlike many similar sites, this was not the final fate of the well. In the 1980s it was restored using as many of the old stones as possible. The landowner was happy to sell the land and Melbourne Civic Society donated money for its restoration. No artifacts were found, apart from 17th century Ticknall ware pottery, later tiles, and drainpipes fragments. Most of the original stones were recovered, but the job of reconstructing them appeared to be a large task and new stone was required. 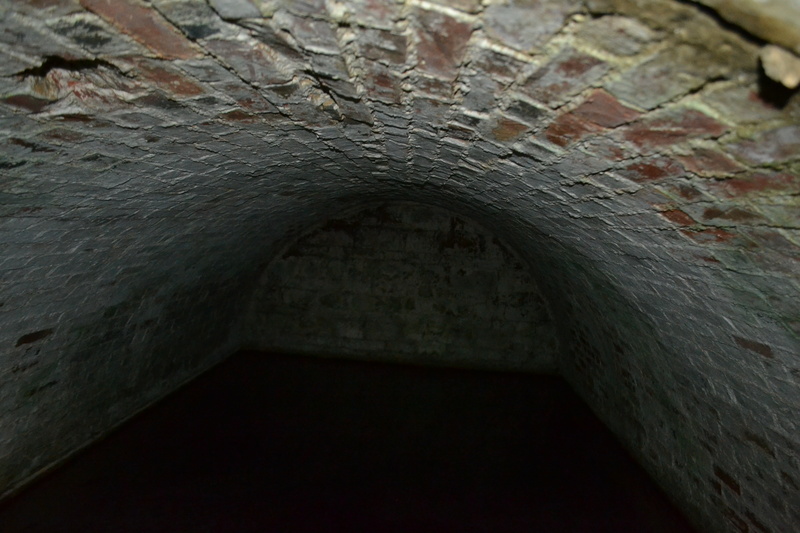 The arch over the well was left blank as it was thought misleading to re-inscribe it. H. Usher in there (1984) The Holy Well at King’s Newton, Derbyshire in the Old Series of holy wells journal Source notes that on the first Sunday after Ascension Day, May 19th 1985, over a hundred people gathered for the opening ceremony when the plaque was unveiled by the Society’s President, the Marquees of Lothian, of Melbourne Hall. It is delightful to see it restored and celebrated by the community. There appears to be no records regarding its properties baring its ‘superior excellence of its waters‘, and being noted as a mineral spring. Interestingly, its waters are said to flow towards the rising sun. So speaks John de Grandison’s 1330 Legend of St Sidwell. Like many similar stories the titular saint was asked to do something by her stepmother only to find those butchers, some mowers lying in wait with scythes. A rather unpleasant death! Like similar deaths her martyrdom was revealed by a column of light. She is then said to have risen from her grave taking her head with her and walked to where a church was built in her honour where a shrine did exist by 1373 according to Roscarrock. 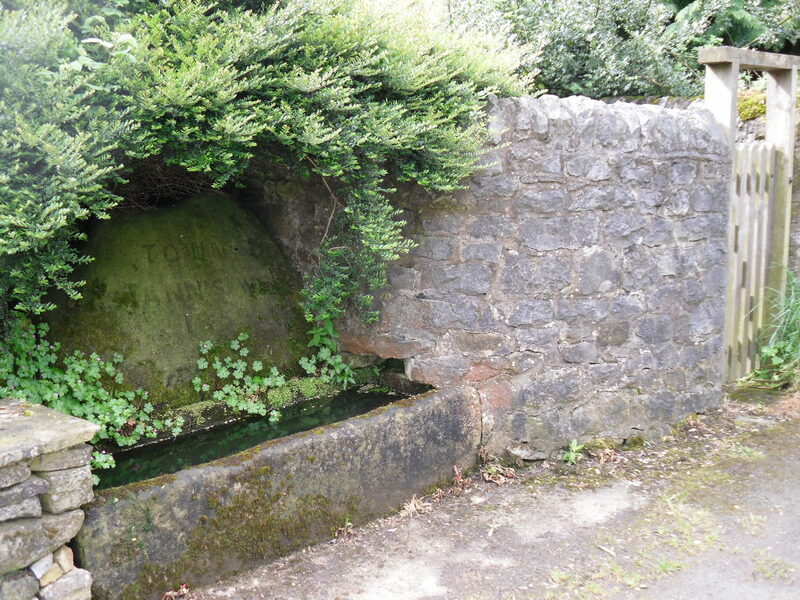 Regular readers of this blog will be familiar with similar legends associated with wells at St Walstan’s Norfolk and St Elthelbert’s Herefordshire. 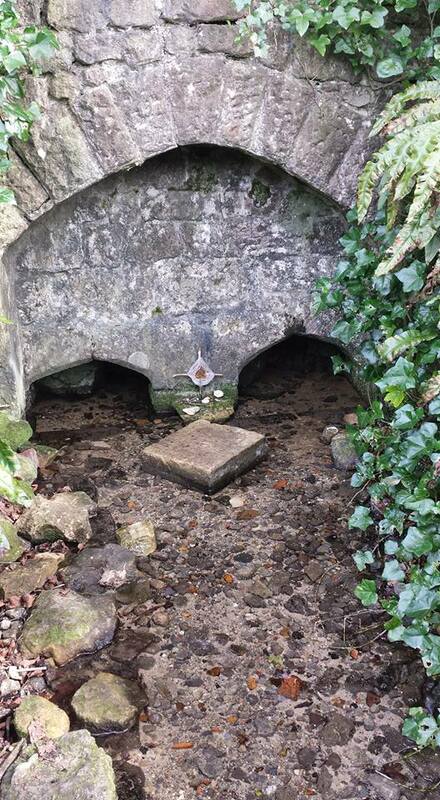 “a third share in the waters of St Sidwell’s Well”. 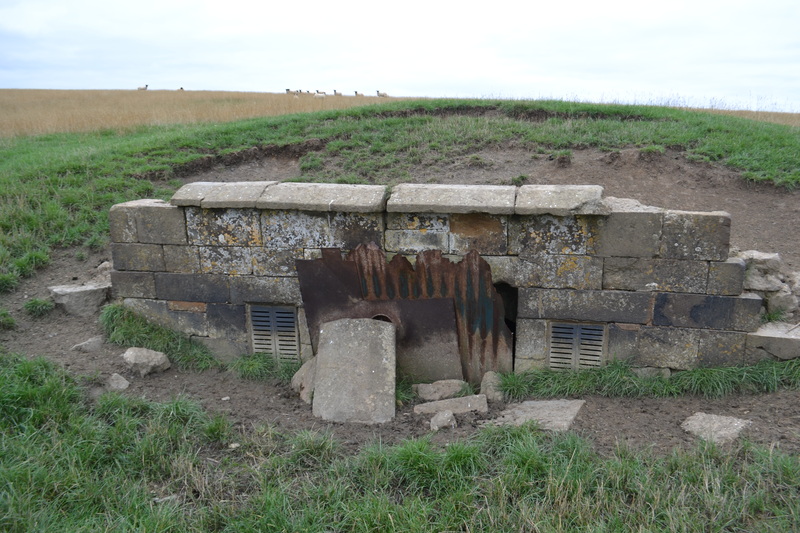 “the repair and maintenance of St Sidwell’s Well, one acre, called Bromeacre, and half an acre called Stokisland, which latter was about forty-five feet from the well towards the north”. “in Saynte Sydwylle is Paroche, ther as she was byhedded, ys a well, and the close that lyeth nexte aboff directely is called and named Hedwyllmede. The Prior of St John’s and his Brothers haff moste grounde yn that Hylde or close, and they be bound to repayre the wylle”. 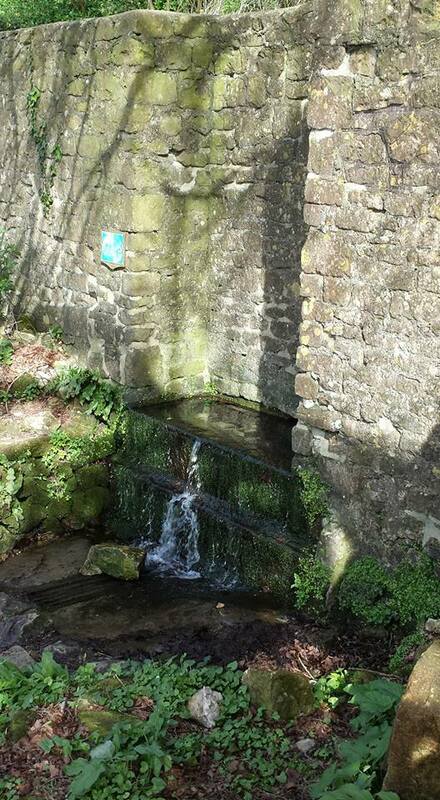 “the well that once existed near the foot of Devonshire Place… Mr William French, dairyman (aged about 65)… remembered, as a boy, not only seeing the old well shaft, but dipping water out of it, though it was then choked and muddy. It was very deep, and when fullest the water reached to within six or seven feet of the ground level”. “ stood in Well Street, near the corner of York Road, in what is now a garden between nos. 2 and 5… opposite the Schoolhouse. 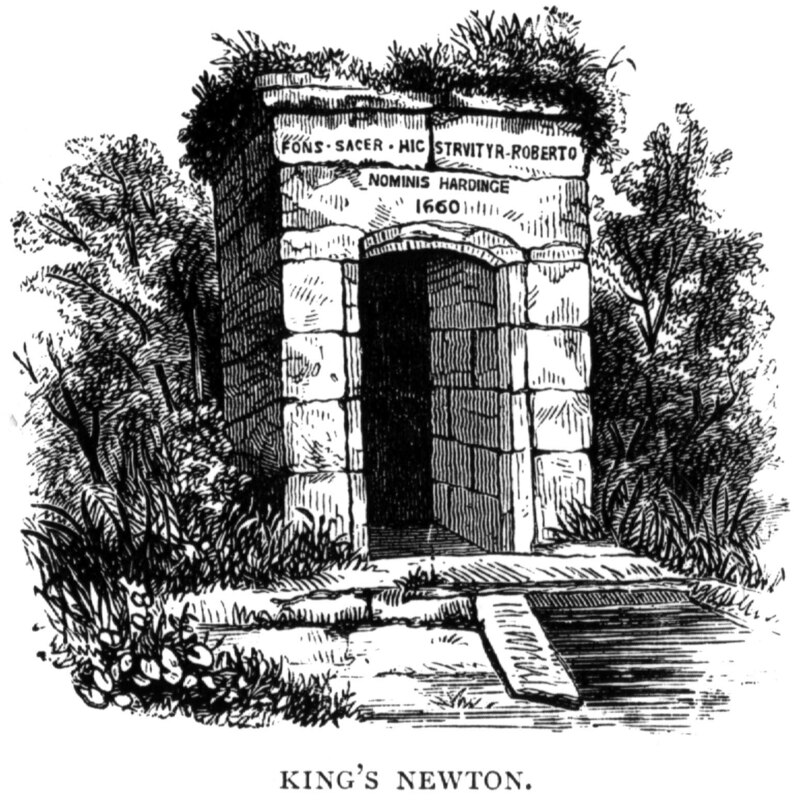 From old inhabitant I learn that it was commonly known as St Sidwell’s well, and was sometimes also called “the Beehive Well”, from the form of the little circular hut of red Heavitree stone about 8 ft high by about 12 ft (?circumference) which sheltered the shaft that went down to a depth of 75 ft. There was a “sort of window” in the front, at which people filled their jugs”. When the site disappeared is unclear but by the Lega-Weekes time it had clearly gone and largely forgotten! 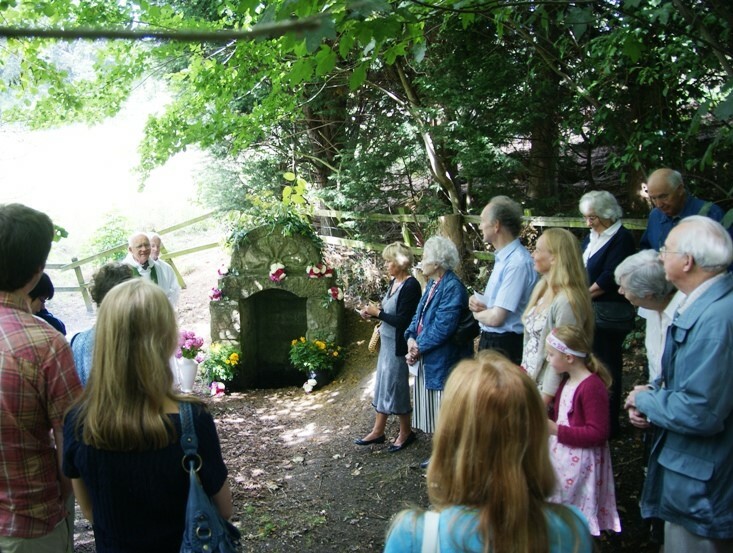 So St Sidwell’s Well returns! Warwickshire does not perhaps have the greatest reputation for holy and healing springs and appears to be hide in the shadows of nearby Gloucestershire. However, my research into the county has revealed there’s more to the county’s healing waters than Leamington Spa. Here are a few lesser known sites towards the Banbury side of the county; any further information on them is gratefully received. Hopefully the book is out this year! 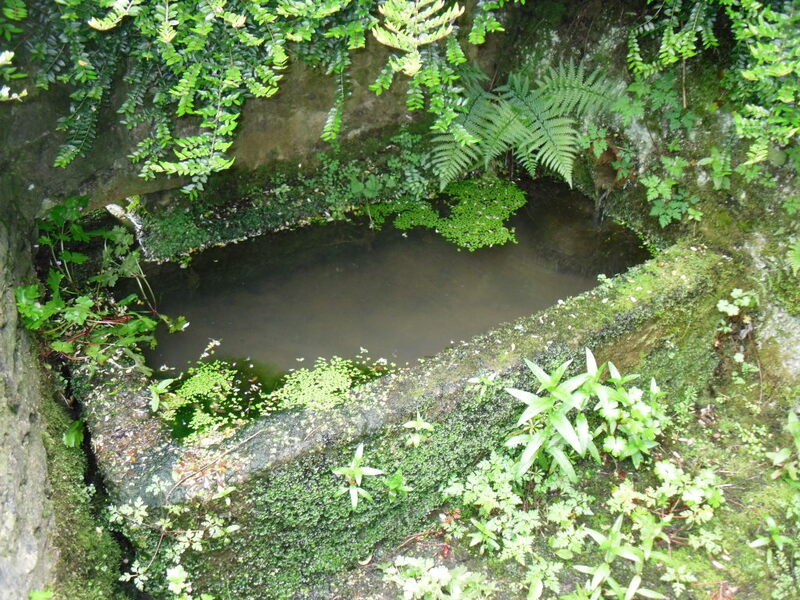 Many of the county’s healing springs are compared to Leamington, the Stockwell is no exception, being saline in nature it was bound to be compared such, as Leamington was. However, that is as far as the comparison goes for little other than it made a decent cup of tea is recorded of it. 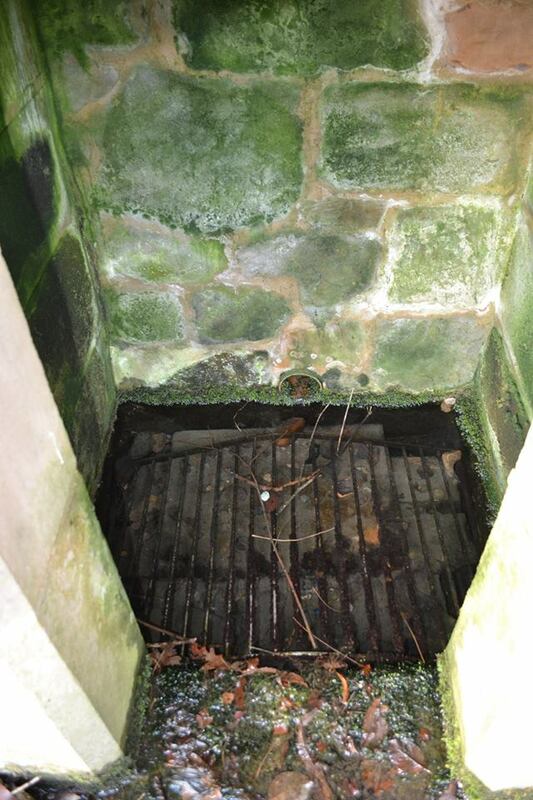 It currently arises in a three feet by three foot roughly square chamber with stone surrounds. Old railings enclose the spring head and steps go down from the road. It is worth contemplating on the thoughts of Bob Trubshaw on the origin of Stockwells Old English stoc meaning ‘holy’ or ‘sacred’ being the apparent same derivation as stow. 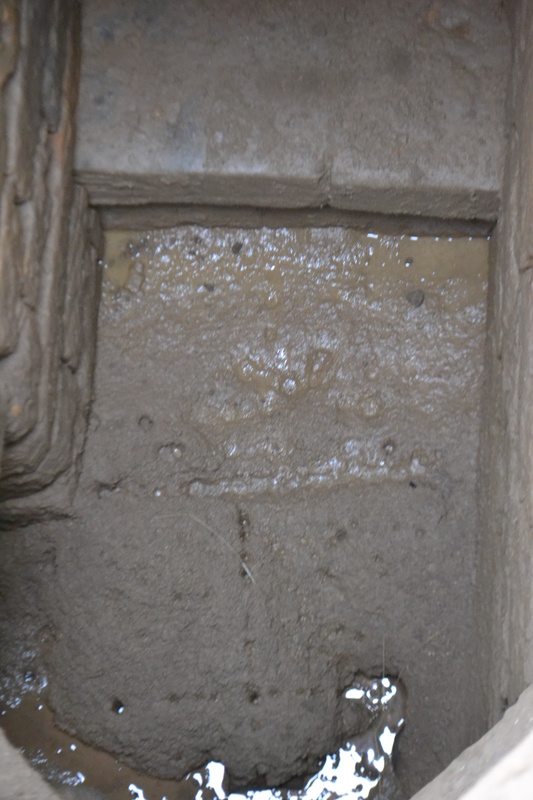 That would give the site an explanation perhaps for the belief in its healing waters but it could equally derived from the place cattle stock were watered or even less interesting Old English stocc for ‘spring by stumps’, a description which could describe it today. However, beyond that nothing is recorded. It is likely to be ancient as it found below an iron-age earthwork and clearly the footpath past it is of some age and past significance, yet the early forms of the OS only record spring. 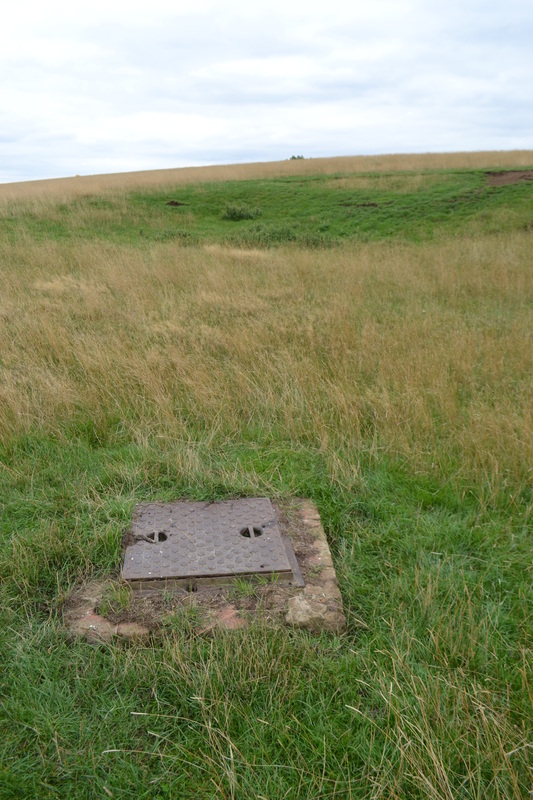 Considering that the hamlet above the well is called Knowle End it is possible that the legend recorded considering fairies moving the stone is related to this site and not the Knowle End in Birmingham as reported by folklorists. Again little is recorded but it must have been thought well enough in the 1930s considering how far the spring is from any houses. A site to visit in the winter or spring however, because it gets very overgrown! 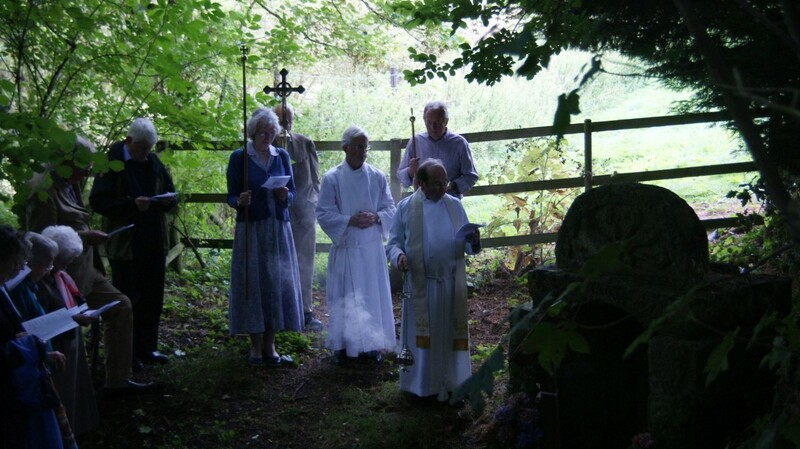 “the holy well with its stone cover will be seen on the left-hand side of the lane as you approach the church”. The present stone well house is of a considerable size being constructed of local red sandstone around 1840 in a Grecian style. 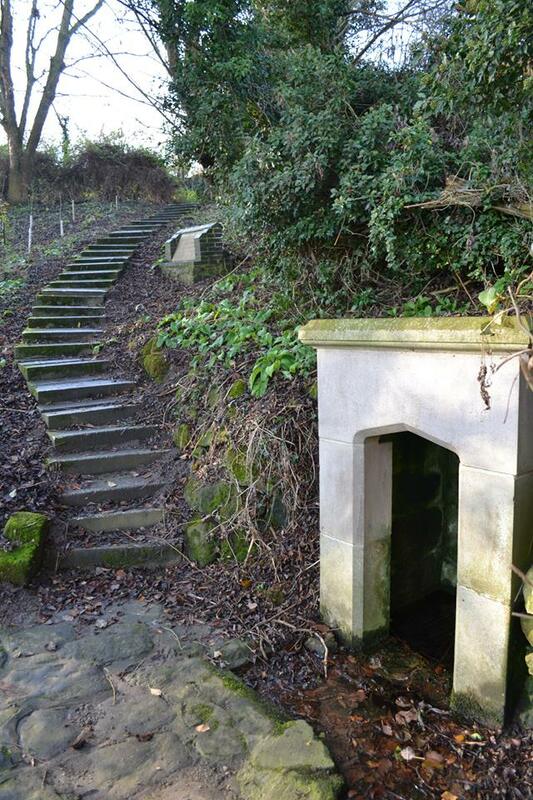 The central doorway is party below ground level and has steps down into a square chamber. Over the stone lintel but the worn instruction is an inscription with carved flowers. It possibly states 1534 but it was not clear. 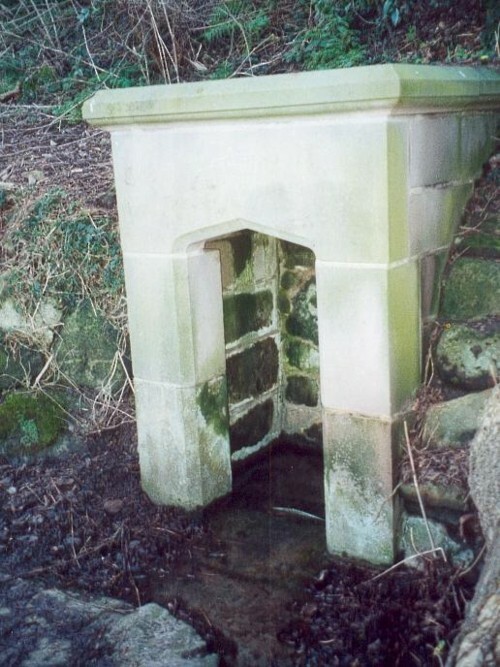 It is evident that the well was part of an estate improvement but when and by whom? And did it exist before? If it does say 1534 that is an early date for a landed estate improvement. It certainly is still visited by well wishers as coins are found in its waters. Sadly, despite a substantial water supply it did not stop the demise of the village and now only the substantial church remains, which incidentally is worthy of a visit. With many more sites yet to explore…Warwickshire is proving to be another interesting County.